Catch assessment survey, Catch per unit effort, Implications, Enforced. Lake Naivasha is a shallow freshwater lake situated 80 kilometres northwest of Nairobi in the Kenyan Rift Valley. It was declared a Ramsar site of international importance in 1995 . The lake is the only freshwater body, in a linear series of soda lakes north-south along the Rift valley floor, situated in a semi-arid climate. It supports an ecosystem with high but uneven biodiversity - rich in birds and plants but no native fishes . Lake Naivasha originally contained only the endemic Aplocheilichthys antinorii (Vinc) which was last recorded in 1962 and is believed to have been driven to extinction by the introductions of other fish species . Dominant vegetation around the lake include Nile grass (Cyperus papyrus L) which form a belt around the margins of the lake, submerged macrophytes with the main species being Najas pectinata (Parl.) and floating mats of macrophytes dominated by water hyacinth, Eichhorrnia crassipes (Mart.) and some pockets of Kariba weed, Salvinia molesta (Mitch) [4,5]. Since 1925, there have been numerous introductions of various fish species. Presently only eight species occur in the Lake. These include: Nile tilapia (Oreochromis niloticus), the Blue-spotted tilapia (Oreochromis leucostictus), Red-bellied Tilapia Coptodon zillii (formerly Tilapia zilli), largemouth bass (Micropterus salmoides), Louisiana red swamp crayfish (Procambarus clarkii) common carp (Cyprinius carpio) and the African sharp tooth catfish (Clarius gariepinus). Lake Naivasha fishery plays an important role in the local economy, by providing food and nutritional security, generating employment and income for more than 4,000 people  who depend on this resource directly and indirectly. The commercial fishery started in 1959 using gill nets for tilapias and rod and line in sport fishing for the largemouth bass. Blue-spotted tilapia and largemouth bass became the most abundant fish species landed between the 1970s and the year 2000. However, towards late 1990s, poor fishing methods resulted in the decline of fish stocks to unsustainable levels, leading to collapse of the fishery in the year 2000. Thereafter, fishers and various stakeholders held consultative meetings aimed at recovery of the fishery which eventually resulted in a one-year ban on fishing (2001 to early 2002) to allow for the recovery of the fish stocks. Afterwards, fishery was re-opened with a maximum allowable number of boats being 43, three crew members and 10 gillnets of more than 4 inches mesh size per fishing trip. Sport fishers on the other hand were only allowed a maximum of 5 fish per day, while fish traders were required to be in possession of daily fish movement passes from beaches to markets. Since then there has been considerable fluctuations in the fish catches and fishing effort. Additionally, the number of the fisher community has increased over time, hence exerting pressure on the fishery. Therefore, it was imperative that current fishing trends were assessed and their implications to the management regulations determined. Data on the fish catches and fishing effort in Lake Naivasha was obtained from daily records compiled at the four landing beaches by staff of Kenya Marine and Fisheries Research Institute (KMFRI) and Nakuru County Fisheries Department. The data for the period from1999 to 2017, comprising the key fish species of the lake’s fishery were analysed. Catch assessment survey (CAS) of the fishery was also conducted at the four main designated fish landing beaches, namely Central, Karagita, Kamere and Tarambete (Figure 1). For this purpose, enumerators were trained and supervised to ensure effective data capture. The survey used harmonized data collection forms to record data on the total fish catch per fishing vessel, number of fishing crew, types and number of fishing gear, type of vessels and mode of propulsion as well as gender composition of the fishing community. All fish landed by each boat were subjected to measurement of morphometric features including, total body length and body weight measured to the nearest centimetres and grams respectively. Data analyses for the indicators of the fishery were done using Microsoft Office Excel (2013). The indicators of the current fishery status were based on fish species composition, trends in fish effort and catches and fisher community structure. Figure 1: Lake Naivasha and surrounding fish landings. There have been great fluctuations in the amount of fish landed and the fishing effort in the Lake. An increase in catch landings has been observed with 60.4 tons being recorded in the year 2004 to 1180 tons in 2015, 964 tons in 2016 while1620 tons were recorded in 2017 (Figure 2). 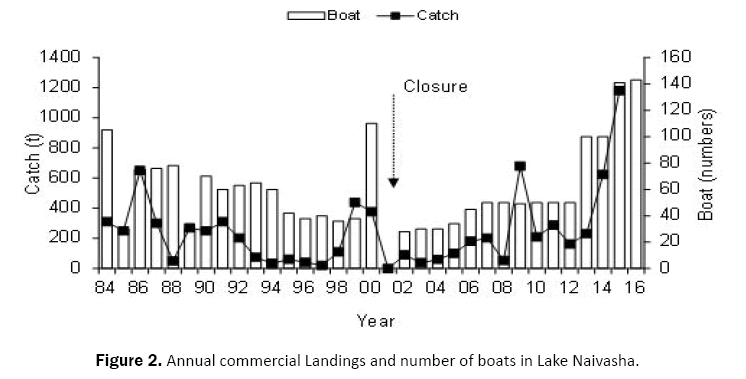 Figure 2: Annual commercial Landings and number of boats in Lake Naivasha. Results of the Socio-economic survey indicated that Lake Naivasha fishery is a male youth dominated occupation with the males owning 69% (n=122) of the boats. However, women owning boats have become increasing prominent currently standing at 31% (n=56). This follows the tradition in the local communities that women do not own property [7,8] especially in the fisheries sector where men play the dominant role in decision-making about fish production (Table 1). Table 1: Gender distribution of the boat owners. 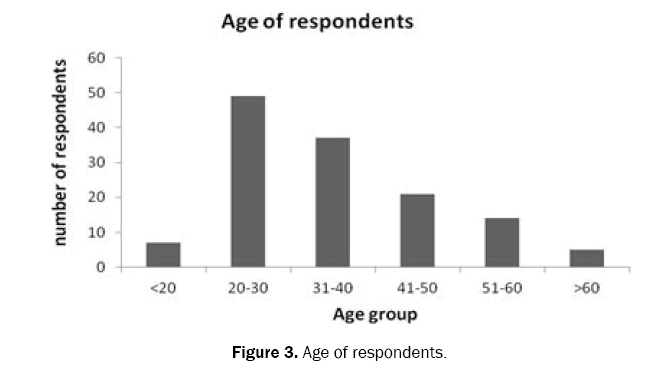 The age distribution of the respondents indicates that the age group of 20-30 years dominated the fisheries of Lake Naivasha followed by age group of 35 years, 45 years and 55 years respectively (Figure 3). The study found that most fishers have limited formal education and lack specialized training, which limit their opportunities for alternative livelihoods (Figure 4). 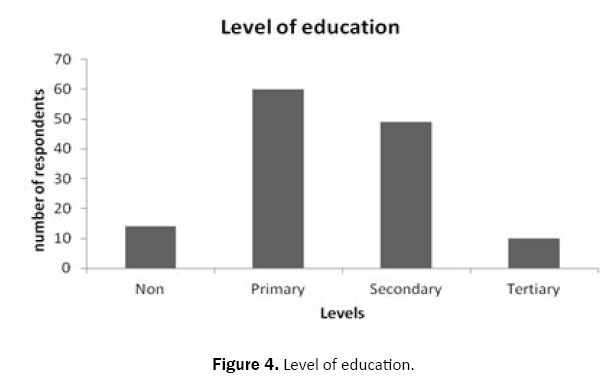 Those who have attained primary level of education were 60, followed by secondary level of education (48), tertiary level of education (10) while those who had never attended school were 15. Figure 4: Level of education. Most fishers in Lake Naivasha are relatively new in the fishery with a mean stay period being below 5 years followed by 7.5 years. The rest of the fishers had been in a landing beach for more than 10 years (Figure 5). Figure 5: Period in fishery. The catch assessment survey results indicate that the most important fishing vessels in Lake Naivasha fishery are Sesse boats propelled by paddles or motor with gillnets as their most referred fishing gear. The catch assessment survey also observed that mechanized motor boats were the most preferred mode of propulsion in Lake Naivasha compared to use of paddles. Kamere beach had the highest number of mechanized motor boat at 31 while Karagita beach had 30 boats and not a single paddle used in a boat. Central and Tarambete beach had 26 and 20 motor boats respectively (Table 2). 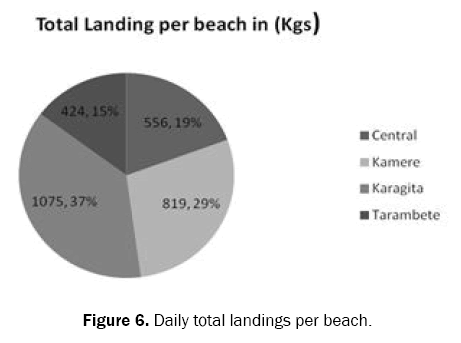 An average of 33±1.6 boats were found to be actively fishing per day with Central (Banda) and Kamere landing beaches having most number of boats actively fishing at 27% each (36) while Karagita and Tarambete landing beaches had 22.6% (30) and 23% (31) boats respectively (Table 2). Table 2: Number of boats in each landing. An average total of 2.94 tons of fish are landed daily from Lake Naivasha, with Karagita landing beach recording the highest amount of catch (1.07 tons) followed by Kamere (0.8 tons), Central (0.6 tons) while Tarambete recorded the least amount of catch at 0.4 tons (Figure 6). The numbers of boats in the respective beaches were Kamere 36, Central 36, Tarambete 31 and Karagita 30. Figure 6: Daily total landings per beach. Karagita beach recorded the highest Catch Per Unit Effort (CPUE) at 35.8 followed by Kamere (22.7), Central (17.3) while Tarambete recorded the least CPUE at 13.68 (Figure 7). 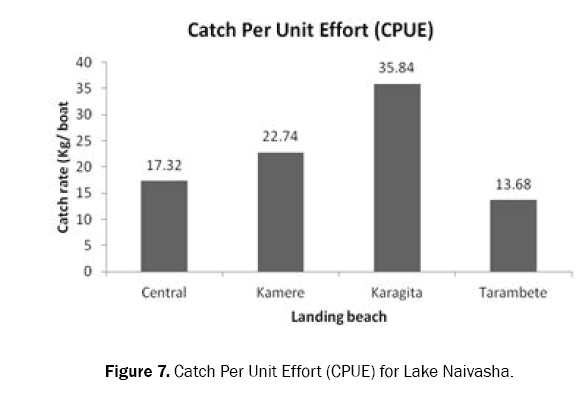 Figure 7: Catch Per Unit Effort (CPUE) for Lake Naivasha. With regards to catches by species, the catch composition indicates that O. niloticus dominated the catches in the lake despite the large increase in fishing effort. C. carpio which had previously been dominating the catch showed a significant decrease. O. niloticus and C. carpio accounted for approximately 69% and 29% of the total catches landed per day respectively (Table 3). Table 3: Total fish catches per day by species of Lake Naivasha fishery. Over the years, Lake Naivasha has had great variations in the total amount of fish caught . This is clearly evident with the trends seen in catches from 2009 up to and including 2016 (Figure 7). At the same time, the development of the fishery has moved from a period of boom and bust (1963-1977) followed by a period of stability (1978 – 1987) and a period of a poorly performing fishery (1987 – 2001) . Fishery statistics have shown that between 1987 and 2000, O. leucostictus dominated the fishery followed by M. salmoides at 71.7% and 19.5% respectively . The changes in distribution witnessed between 2002 and 2007 saw a shift to C. carpio (51%), O. leucostictus (21.9%) and M. salmoides (13.2%) while in 2007 and 2008, the catches were dominated by C. carpio (81.7%), O. leucostictus (9.7%) and M. salmoides (8.3%) . The dominance of common carp was still observed from 2009 – 2014 whereby C. carpio dominated the catch at 83.4% followed by O. niloticus (7.3%), O. leucostictus (6.0%) and C. gariepinus (19%) [5,11]. Current observations from the fishery statistics 2015 to 2018 indicate a shift in the fishery whereby the fishery is dominated by O. niloticus (68%), C. carpio (29%) and C. gariepinus (17%), with the other species contributing to less than 1% of the total estimated catch . The number of fishers has also increased by 25% from 560 in 2015 to 704 in 2017 [5,12]. The variations in the total amount of fish caught from Lake Naivasha can be attributed to the interactions between multiple exotic fish species and fluctuations in fishing effort, lake water levels and extent of macrophyte cover. This has had both beneficial and adverse impacts in Lake Naivasha, with most of these effects having been as a result of the feeding habit of common carp. Carp has partly been responsible for improving the lake’s fishery from near collapse in 2001.Its dominance may have been as a result of changes in the water quality and ecosystem of the lake buoyed by its resilience and ability to withstand degraded habitats [5,11]. Carp feeds on benthic organisms, resulting in the uprooting of aquatic plants stirring the bottom and increasing water suspended solids thereby affecting turbidity . This results in decreased light penetration thereby affecting feeding for tilapine species and visual feeders such as M. salmoides . Lake Naivasha fishers fish almost every day with no break as long as they are able to get their boats and gears to the fishing grounds. This results in increased pressure on the fishing stocks with no time for them to recover. The effort by most fishers in Lake Naivasha is through motorized boats, although non-motorized boats are still in existence but much fewer in numbers. Karagita beach, the newest beach along the lake, has only motorized boats, with all the entrants into the fishery being youths. Since 2007, there has been an increased effort from 50 boats to 100 in 2013, 140 in 2015, 145 boats in 2016 and 176 boats in 2017 . This increased effort and use of motorized boats with a crew of 4 fishers and gill nets (up to 50 of varying mesh sizes from 4” to 7”) for fishing may be responsible for the high catch rates per boat experienced in the fishery. CAS further revealed that higher catch rates of O. niloticus vis-à-vis C. carpio in 2016 to 2017 may also be attributed to most of the fishing grounds for the landed catch being breeding areas in the lake . Limiting fishing grounds is one of the most important control measures that could be used to avoid capture of immature fish as seen in the catches. Many fish species and their juveniles occur in sheltered bays and very close to the shores areas, they use as breeding and feeding grounds. Small bays of less than 1.5 km from the shoreline of Lake Naivasha are unsuitable for fishing and should therefore be declared closed fishing grounds. Fishing gears used which are legally used in the capture of fish in Lake Naivasha include, hook and line for sport fishing, gillnets and monofilament nets which range from 4” – 8” which do not retain immature fish . However, there is widespread use of illegal fishing gears and methods (meshes below the recommended sizes/ banned gears) with a remarkable increase in the number of illegal long line hooks and gillnets of mesh size 3”-4” . The progressive decrease in mesh sizes of gillnets which remain the predominant fishing gears on the lake is particularly worrying in the heavily exploited inshore waters. Banned fishing gear especially beach seines pose a high risk for recruitment and growth of fish. Specific efforts should be made to remove the illegal gears including the fishers for sustainability of the fishery. It can be concluded that at the present time, there is a shift in species dominating fishery catches since 2015 to 2017 from common carp to tilapia specifically O. niloticus. The Catch Assessment Survey has revealed that at any one given day, at least 33 boats per beach were actively fishing within the lake making an average total of 133 boats for the whole lake. With more than 176 registered fishing boats for Lake Naivasha, this is way past the recommended number of 43 boats for the whole lake. Therefore, the increase in catch can be attributed to increased fishing effort. Since the inception of devolution in 2013, most of the fishery management guidelines have been ignored resulting in excessive pressure on the Lake Naivasha fishery. The high catches of Nile tilapia being recorded in Lake Naivasha is a result of unsustainable fishing methods in the fish breeding areas situated in sheltered bays and shallow littoral zones. The management of Lake Naivasha fishery is experiencing numerous challenges from illegal, unregulated and unreported fishing activities to overcapacity of the fishery. Illegal fishers have kept on exploiting the fishery with some fishers using illegal gears to fish in shallow areas that act as breeding and nursery grounds bringing the sustainability of the fishery into question. • The previous set out management guidelines for Lake Naivasha fishery should be implemented and enforced. Previously, there was a 2-year fishing ban from 2001 to 2003 to allow for the recovery of the fish stocks. The stocks recovered and the fishery was re-opened with maximum allowable boats of 43 and a maximum of three crew and 10 gillnets of 4” per fishing trip. • The closed fishing season in Lake Naivasha should be re-introduced to allow for recovery of the fish stocks. Lake Naivasha fishers fish almost every day with no break as long as they are able to get their boats and gears to the fishing grounds. This results in increased pressure on the fish stocks with no time for them to recover. • Monitoring and surveillance of the fishery should be strengthened to curb the illegal, unregulated and unreported fishing activities. This will allow obtaining of accurate catch estimates of the fisheries production of the lake and also enhance protection of important fish breeding and nursery grounds. • The carrying capacity of Lake Naivasha should be properly researched in order to provide better estimates on the production capacity of the lake and how much fish can be harvested without adverse effects to the fishery. • An ecosystem based approach to fisheries management of the lake should be encouraged. An approach that holistically takes into account, the entire lake basin into consideration, with relevant stakeholders involved in the formulation and implementation of the fishery management policies. Funding was provided by the Government of Kenya through Kenya Marine and Fisheries Research Institute. Research authorization and logistics were provided by the Director KMFRI and Deputy Director Freshwater systems. We are also thankful for the Naivasha technical team for the support during data collection and data entry. Harper DM and Mavuti KM. 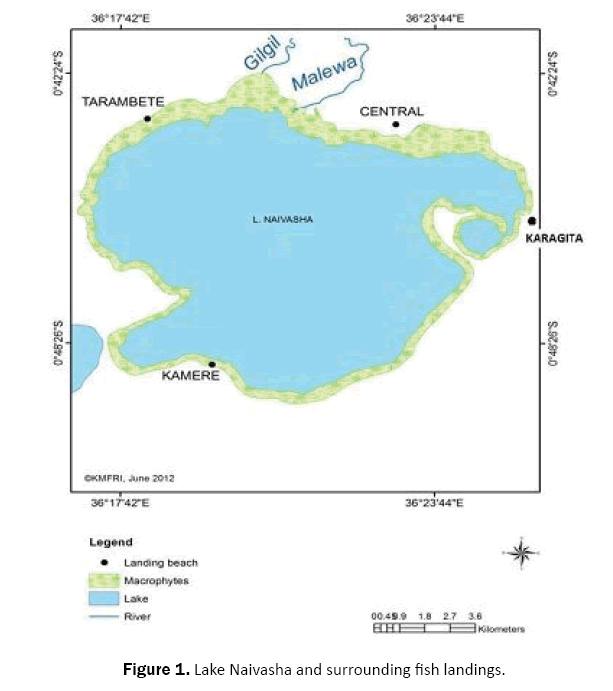 Lake Naivasha, Kenya: Ecohydrology to guide the management of a tropical protected area. Ecohydrol Hydrobiol. 2004;4: 287-305. Harper DM, et al.. Ecology and management of Lake Naivasha, Kenya, in relation to climatic change, alien species’ introductions, and agricultural development. Environ Conserv. 1990;17:328-335. Elder HY, et al.. Natural hybrids of the African cichlid fishes Tilapia spirulus nigra and T. leucosticte, a case of hybrid introgression. J limnol Soc. 1971;3:103-146. Hickley P, et al. The status and future of the Lake Naivasha fishery, Kenya. Hydrobiologia, 2002;488:181-190. Njiru J, et al.. An Overview of the Current Status of Lake Naivasha Fishery: Challenges and Management Strategies. The Open Fish Sci J. 2017;10:1-11. Waithaka E, Mugo J, Obegi B, et al. Socio-economics of the re-introduced Oreochromis niloticus in Lake Naivasha (Kenya). Int J Fish Aquat Stud. 2015;2:142-146. Mbega CA. Informal power. Gender, globalization and fisheries workshop. 1999; 6-12 May, 2000, St. John’s NF. Hickley P, et al. Habitat degradation and subsequent fishery collapse in Lakes Naivasha and Baringo, Kenya. Ecohydrol Hydrobiol. 2004;4:503-517. Ojuok J, Njiru M, Mugo J, et al. Increase dominance of common carp, Cyprinus carpio L: the boon or the bane of Lake Naivasha fisheries? Afr J Ecol, 2008;46:445-448. Keyombe JL, et al. Comparative assessment of diet and condition factor of Cyprinus carpio and Oreochromis leucostictus in Lake Naivasha, Kenya. Int J Aquat Biol, 2017b;5:228-23. Keyombe JL., et al. (in press) Biological and economic performance of re-introduced Nile tilapia, Oreochromis niloticus (Linnaeus, 1758) (Cichlidae) in Lake Naivasha, Kenya. Int J Environ Agric Biotechnol. Parkos JJ, et al. Effects of adult common carp (Cyprinus carpio) on multiple trophic levels in shallow mesocosms. Can J Fish Aquat Sci. 2003;60:182-192. Keyombe JL, et al. Seasonal changes in length-weight relationship and condition factor of Nile tilapia, Oreochromis niloticus (Linnaeus, 1758) (Cichlidae) in Lake Naivasha, Kenya. Int J Aquat Biol, 2017a;5:7-11. Waithaka E, et al. Angling: An Emerging Fishery in Lake Naivasha? J Biodivers Endanger Species. 2017;5:183.